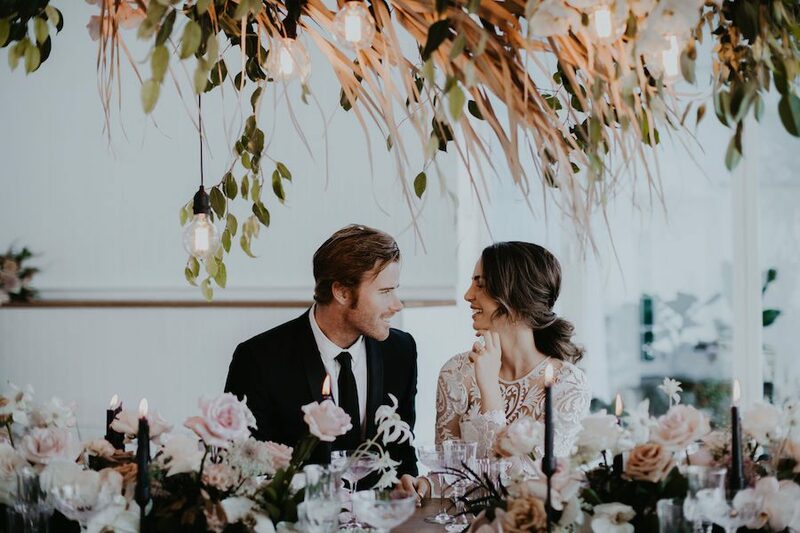 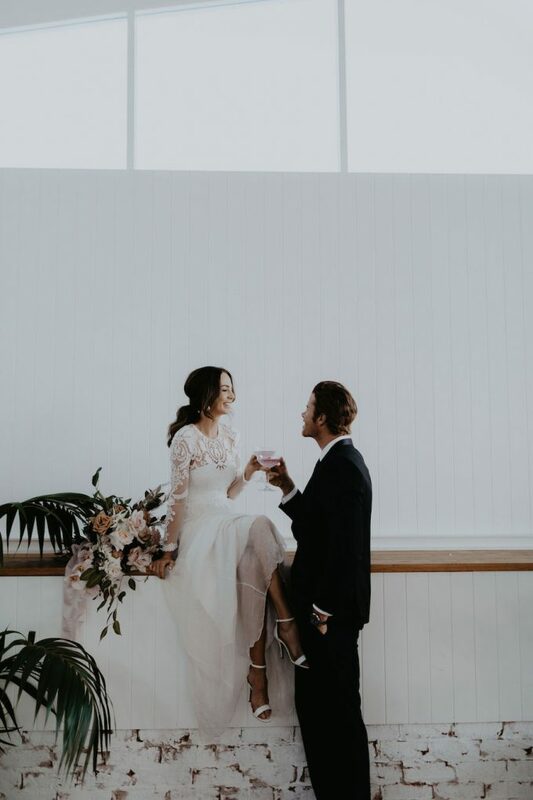 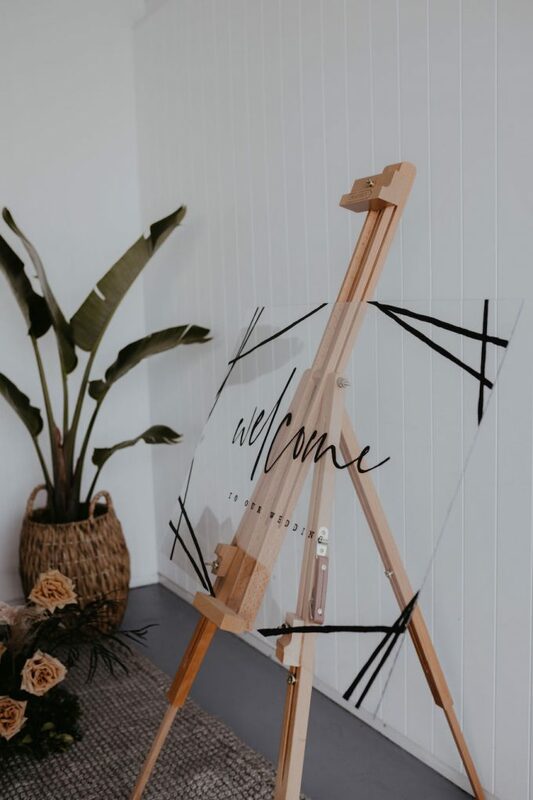 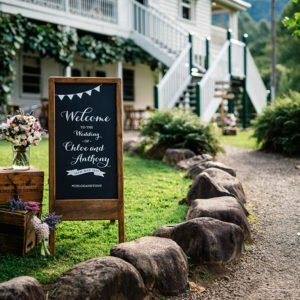 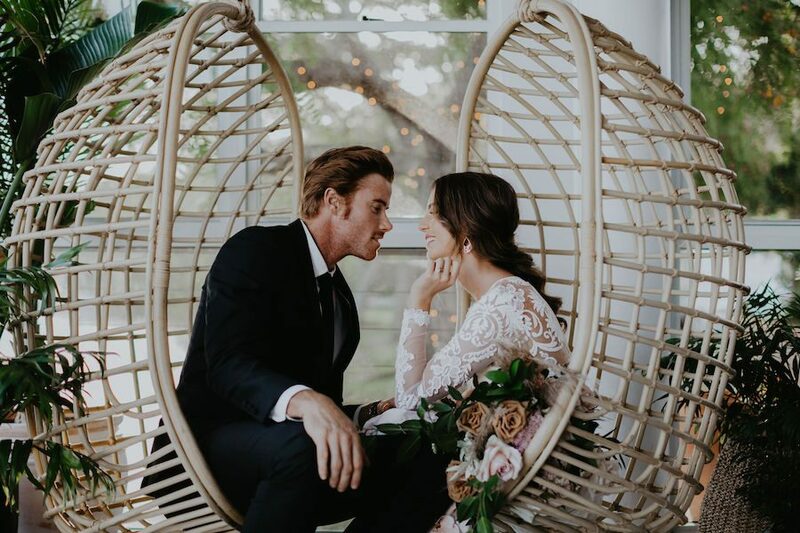 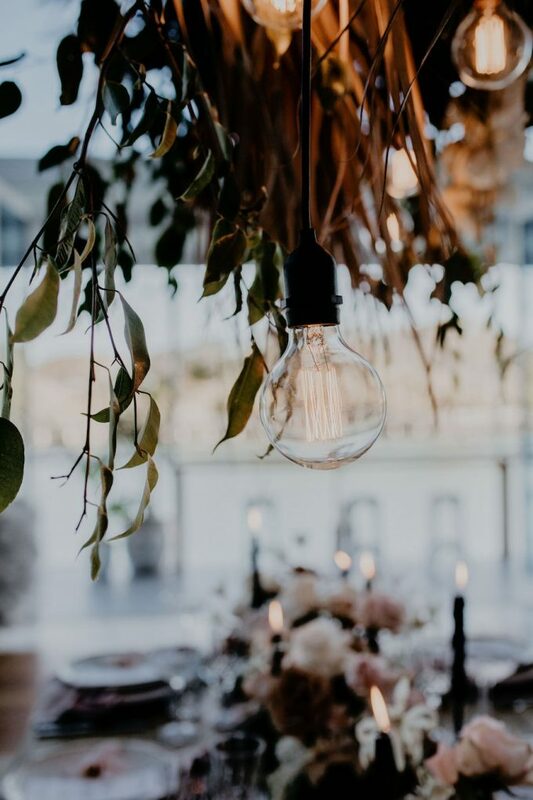 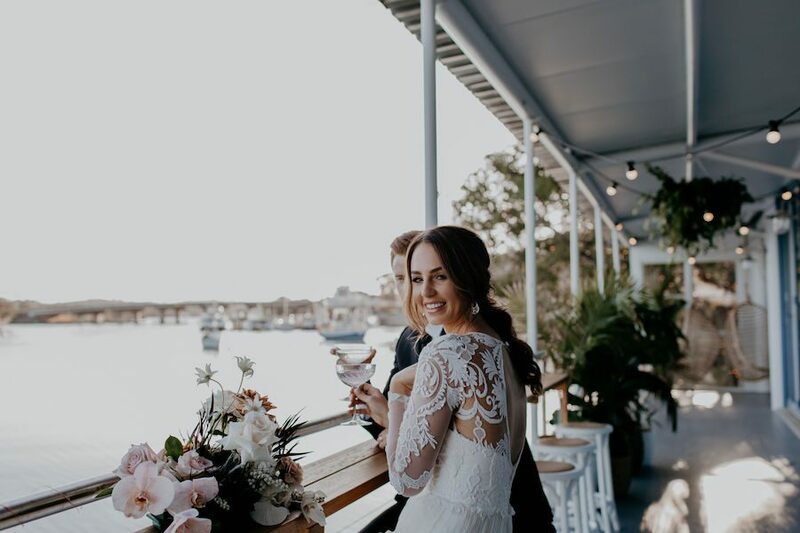 We’re always so chuffed when a super creative, super stylish bunch of Tweed Coast Weddings suppliers team up with one of our venues and create serious magic! 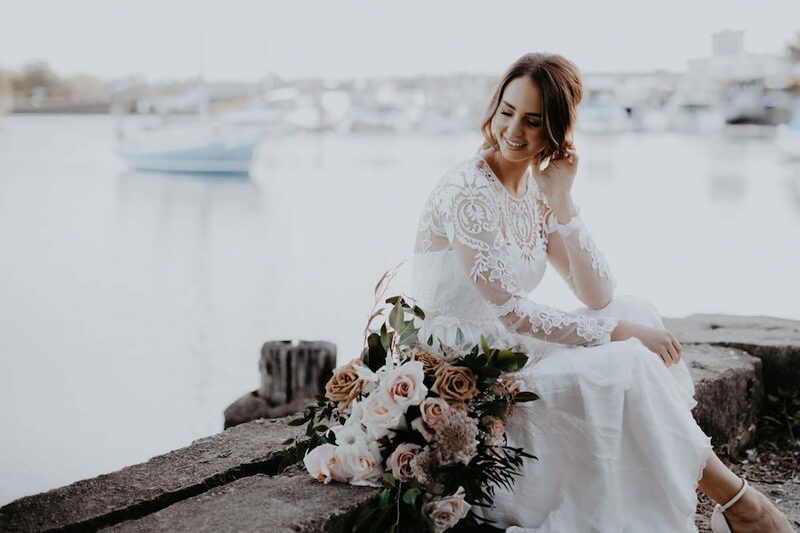 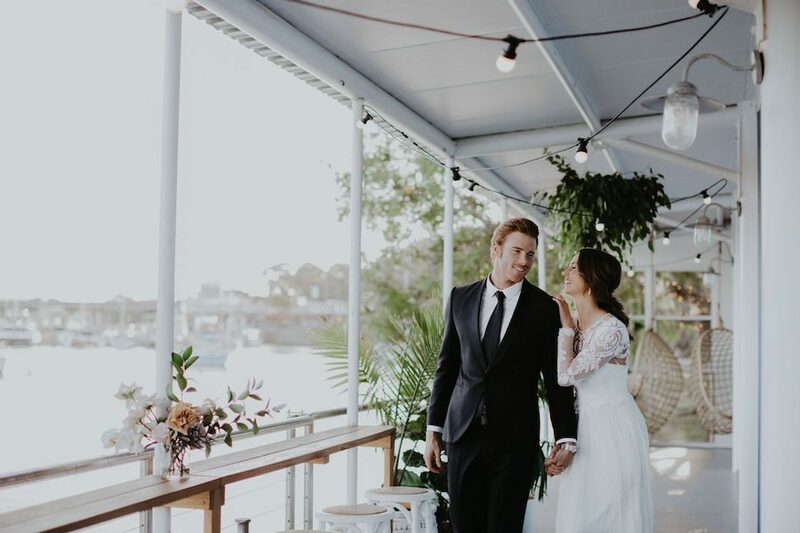 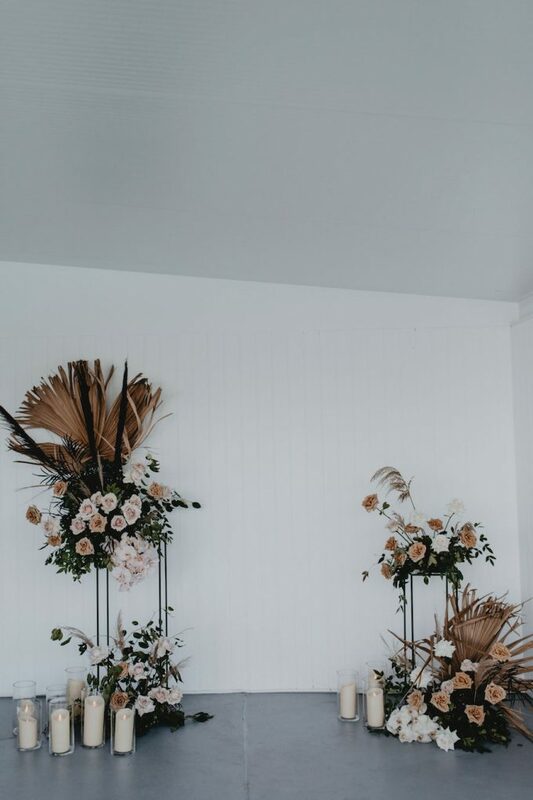 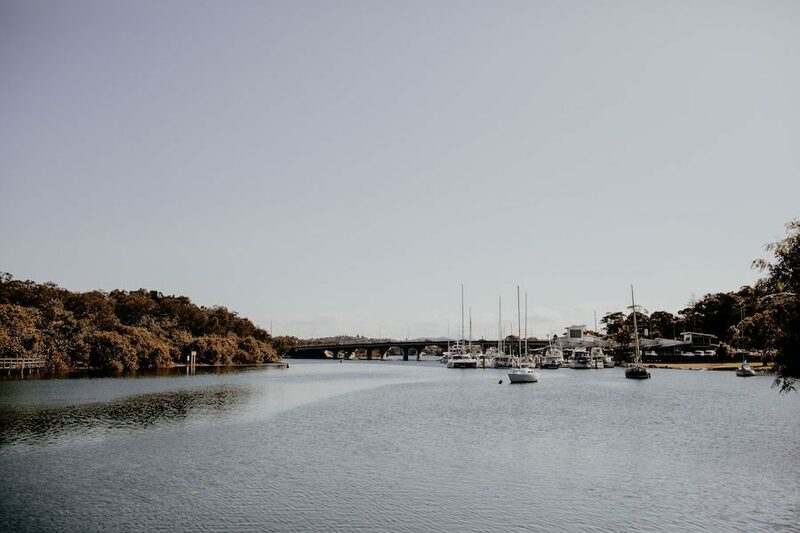 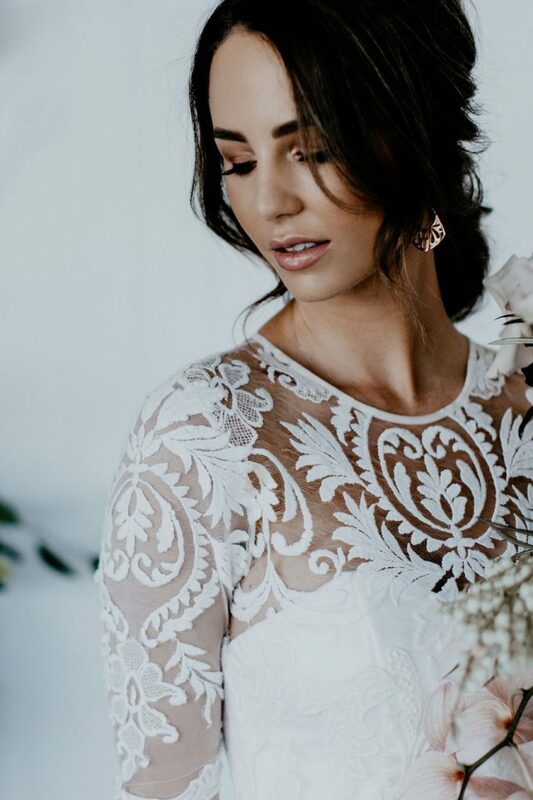 We love sharing intricate details and lavish design through stunning photography and videography and this styled shoot at waterfront Tweed Heads venue Ancora, certainly ticks these boxes. 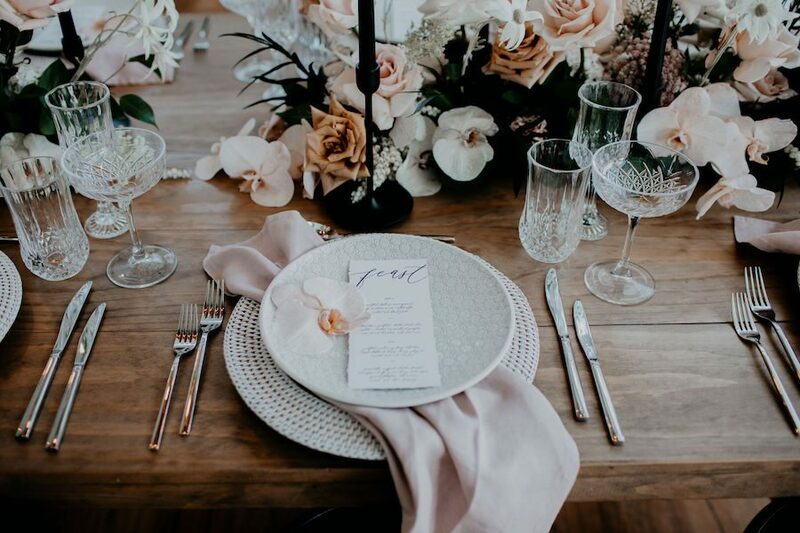 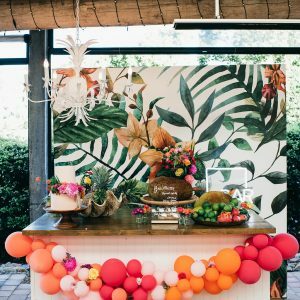 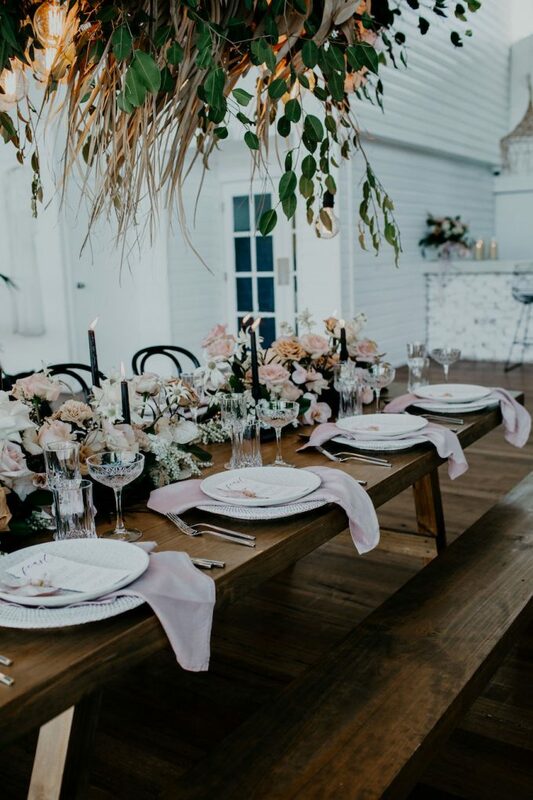 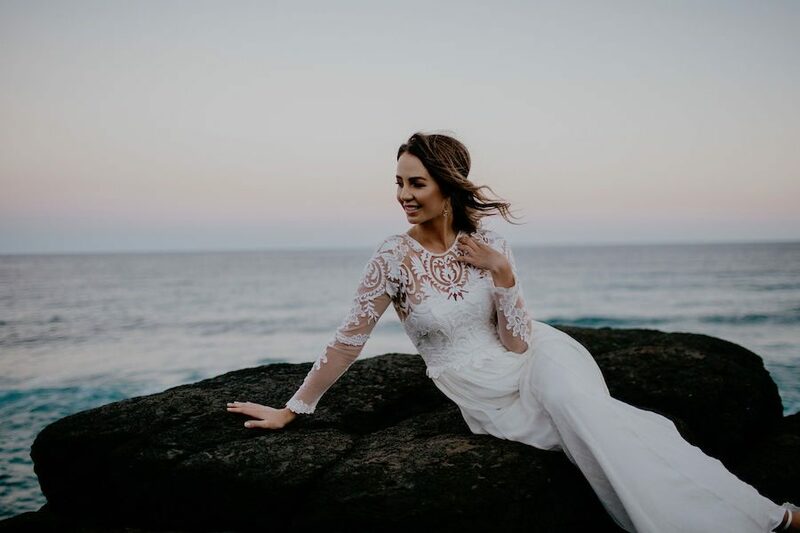 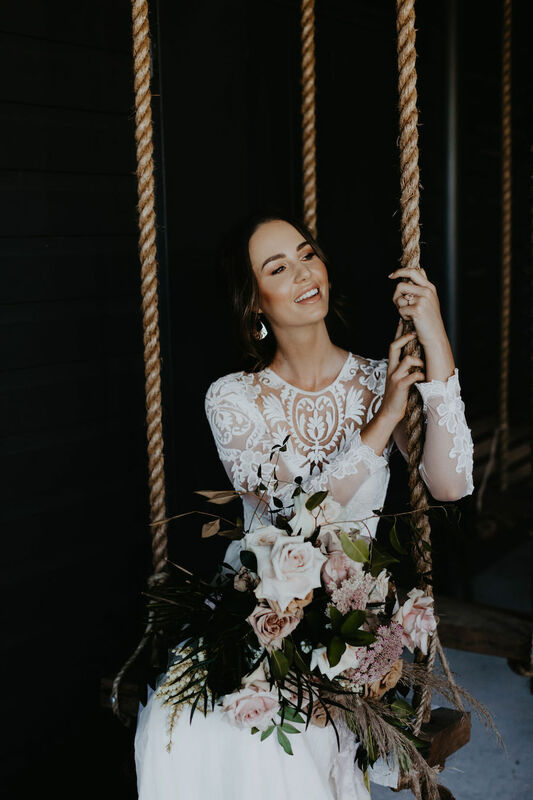 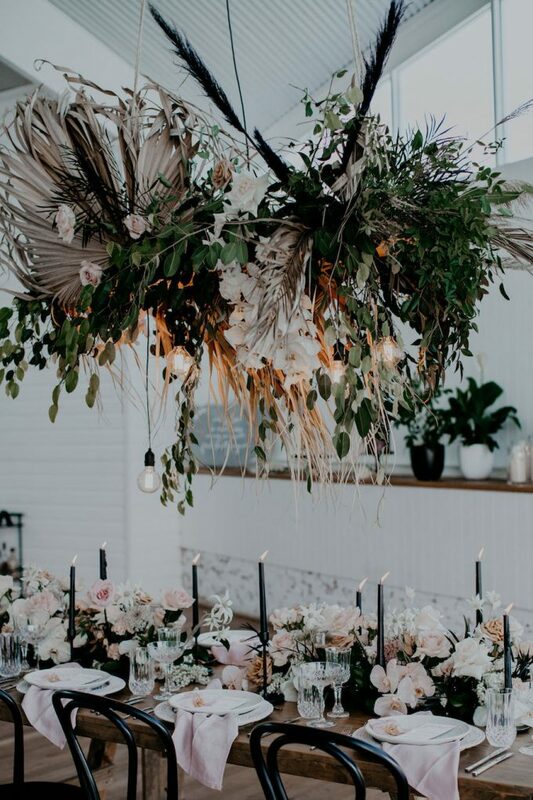 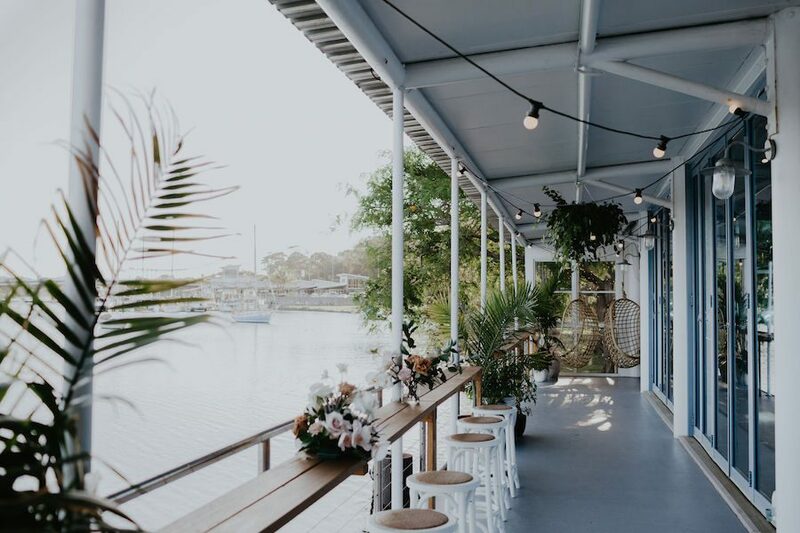 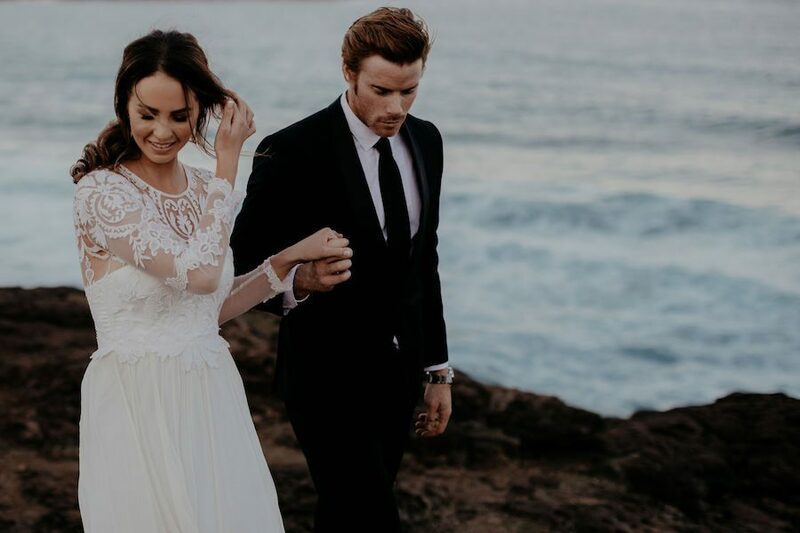 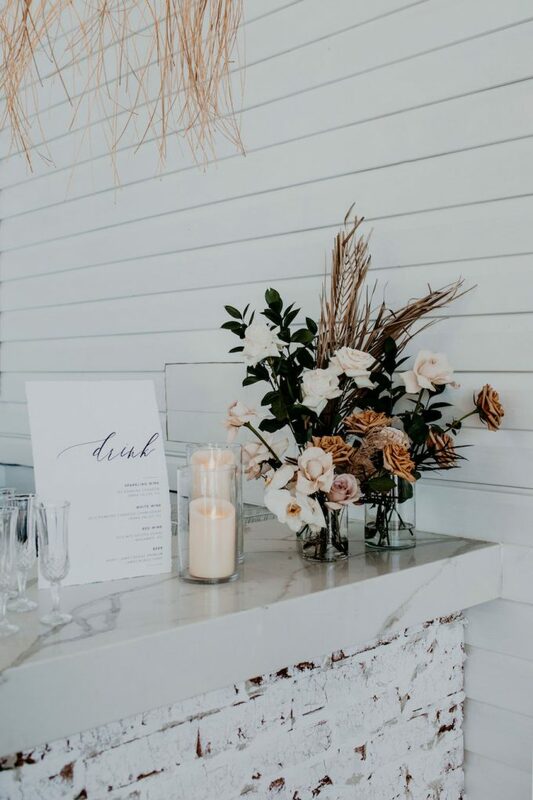 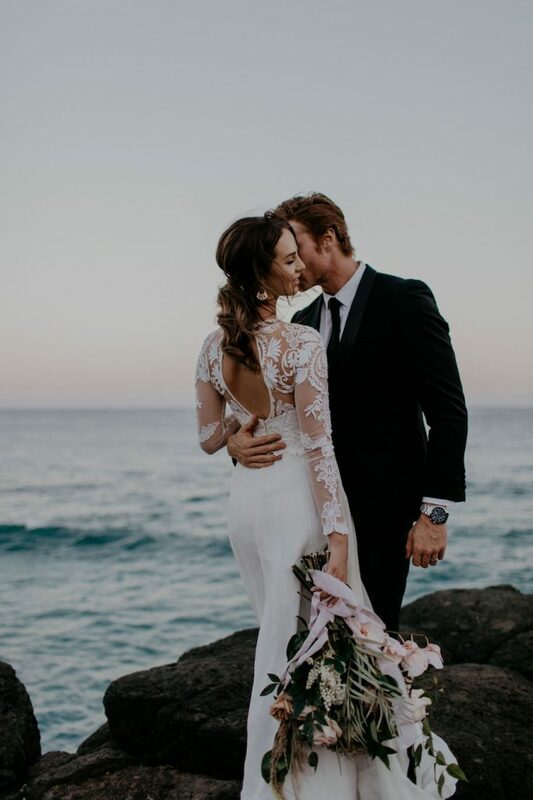 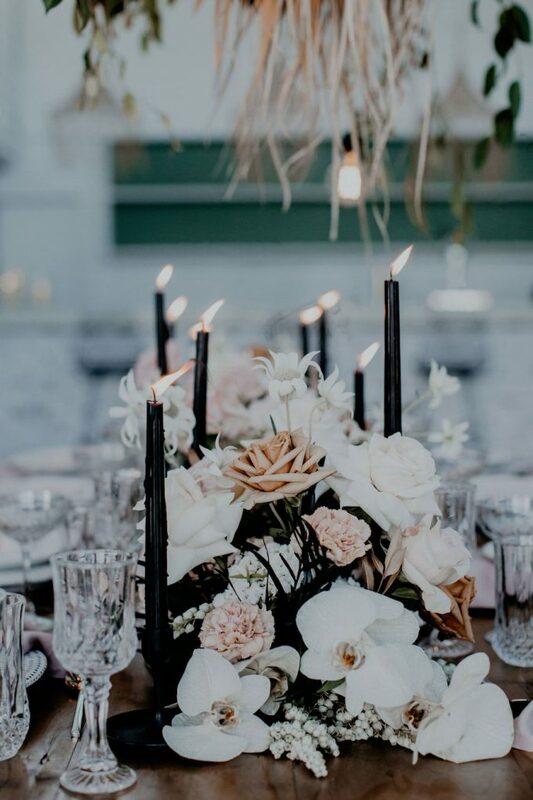 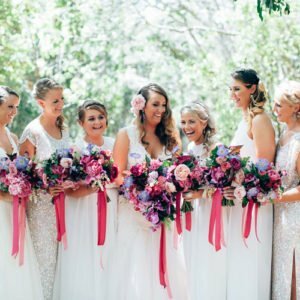 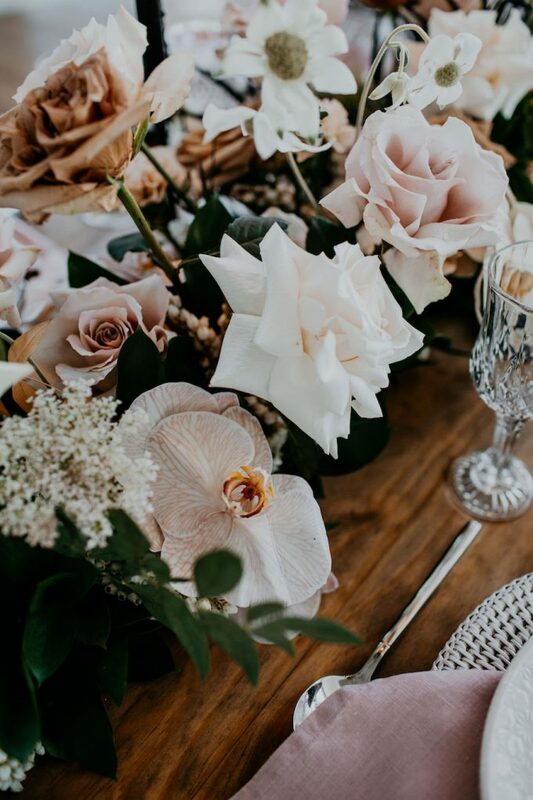 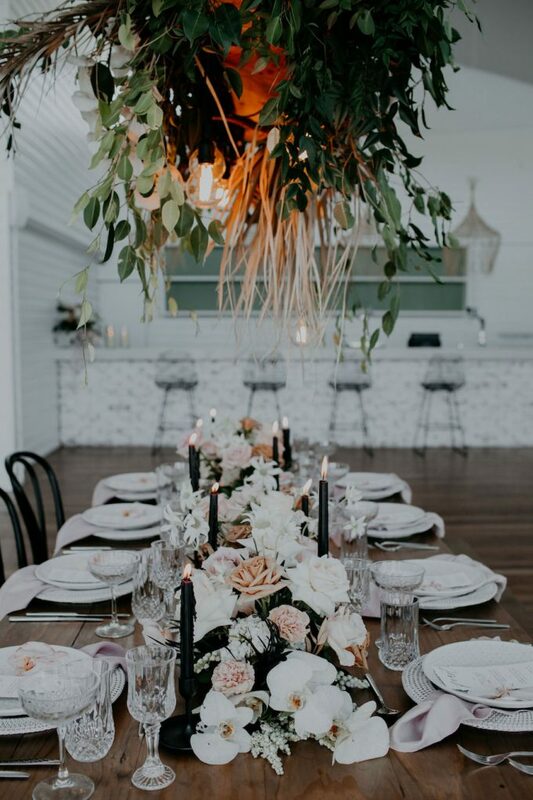 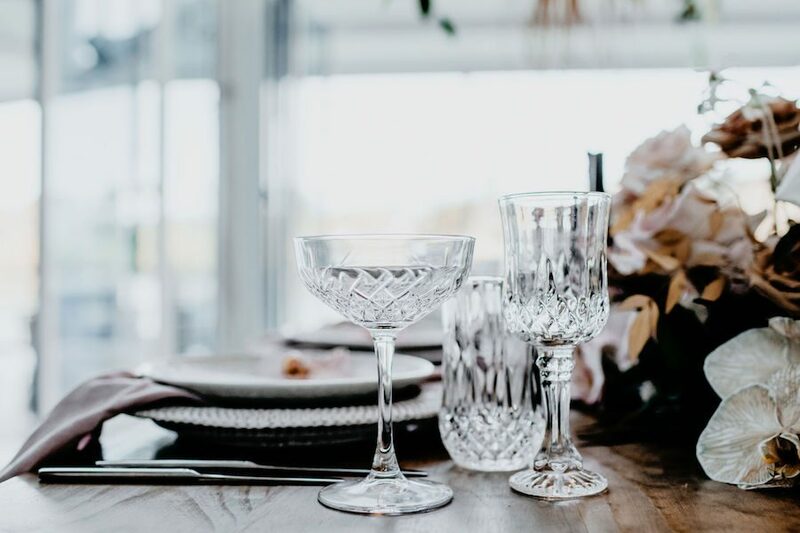 Fresh to the Tweed Coast wedding scene, Zoe from Panorama Events coordinated the shoot, while Bel from Hello Flora led the creative design concept. 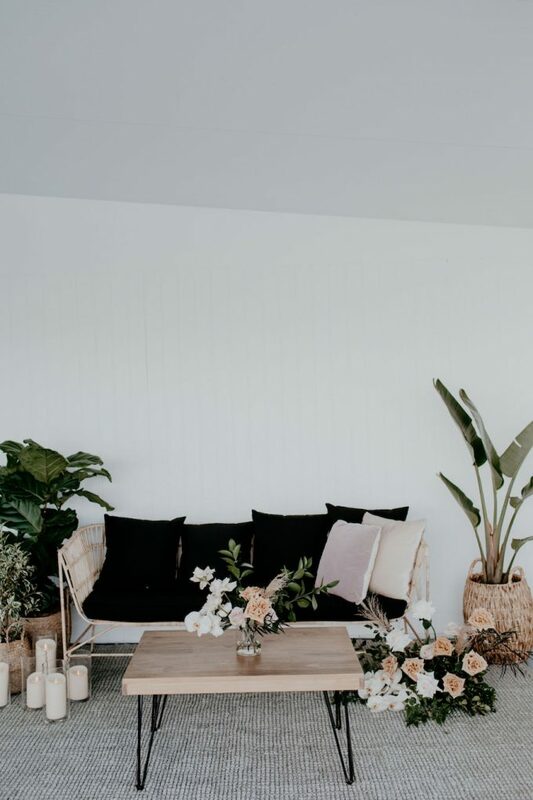 The girls were kind enough to talk us through all things inspo, style and trends! 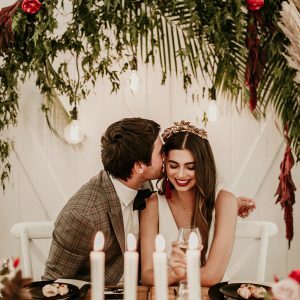 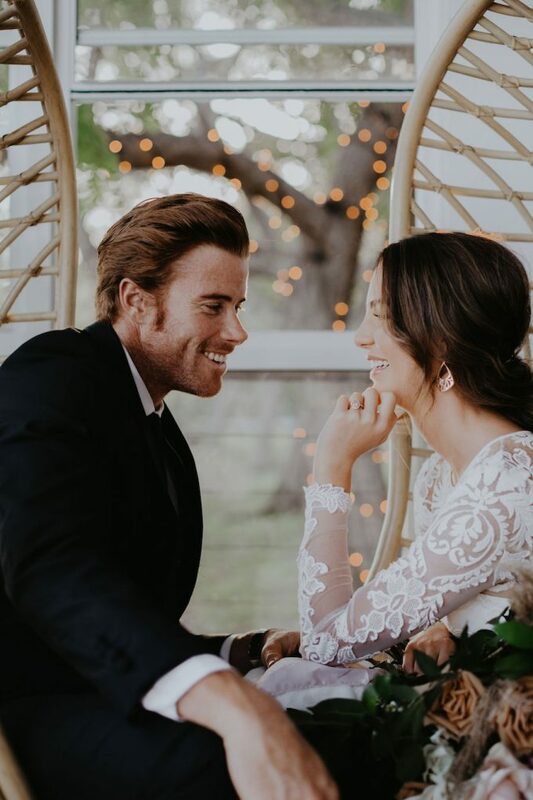 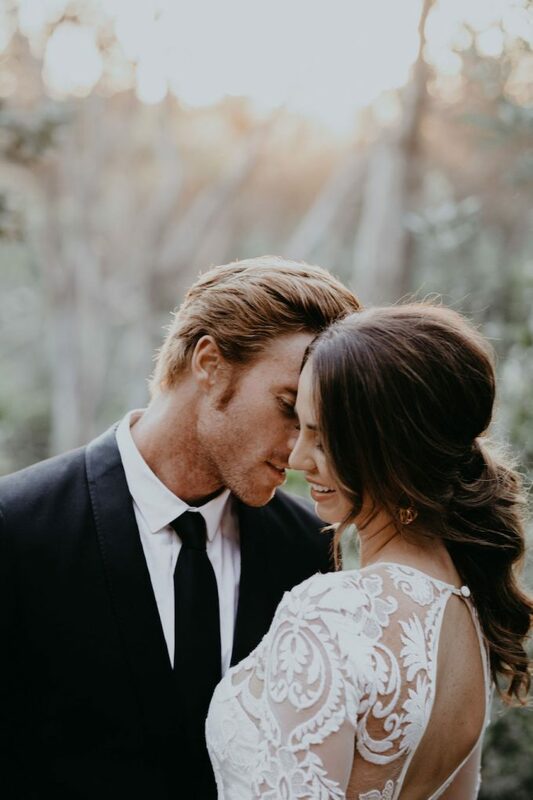 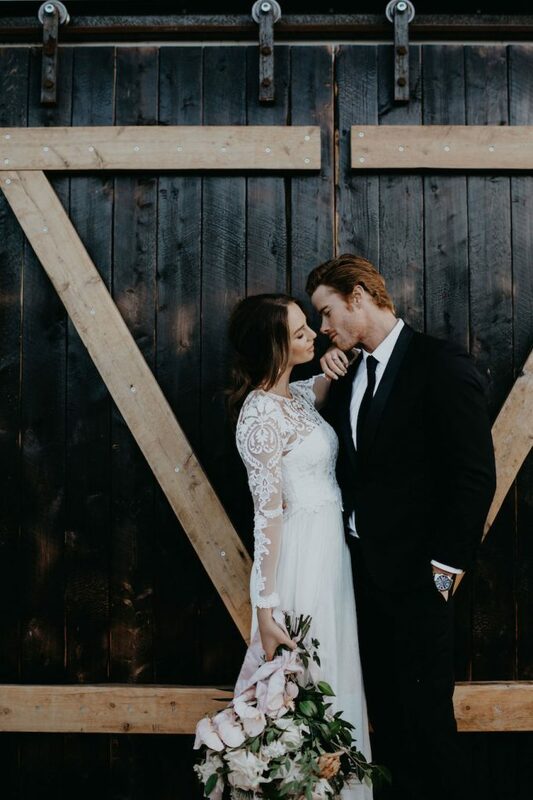 The inspiration for this styled Wedding photo shoot came to me while I was at a close friend’s Wedding sipping on Espresso Martinis and eating yummy warm goodies while surrounded by romantic candlelight and the warmth of a firepit. 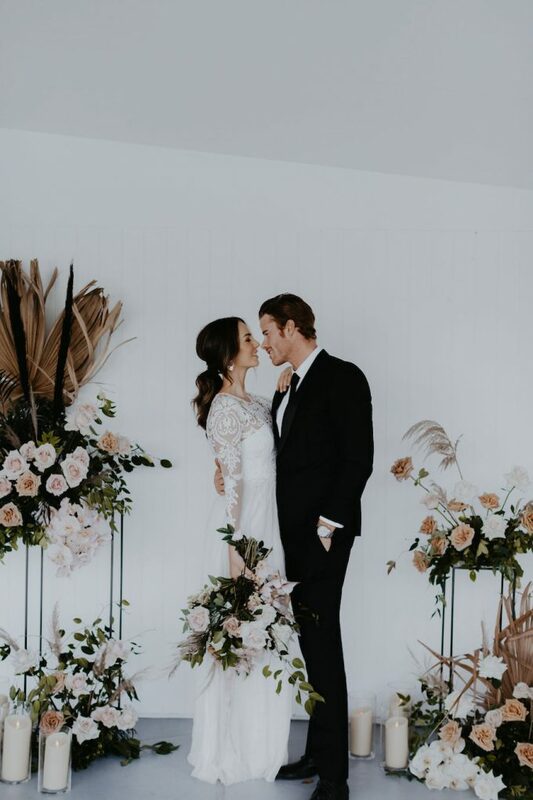 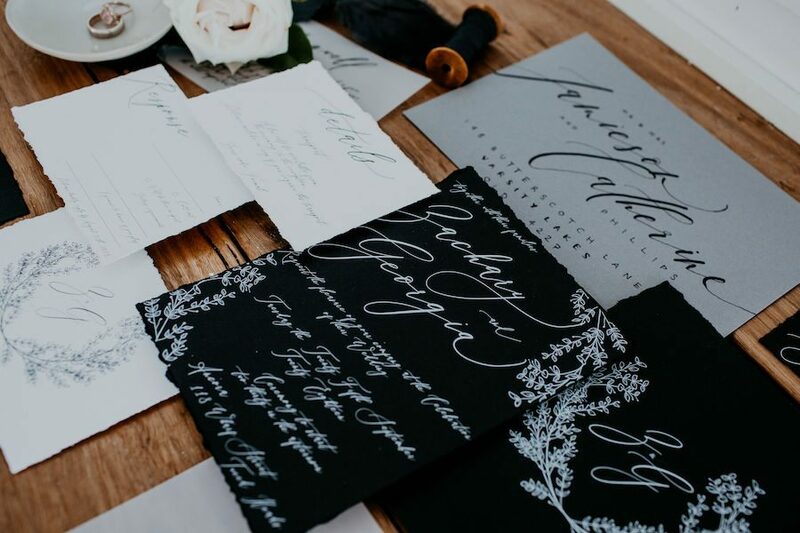 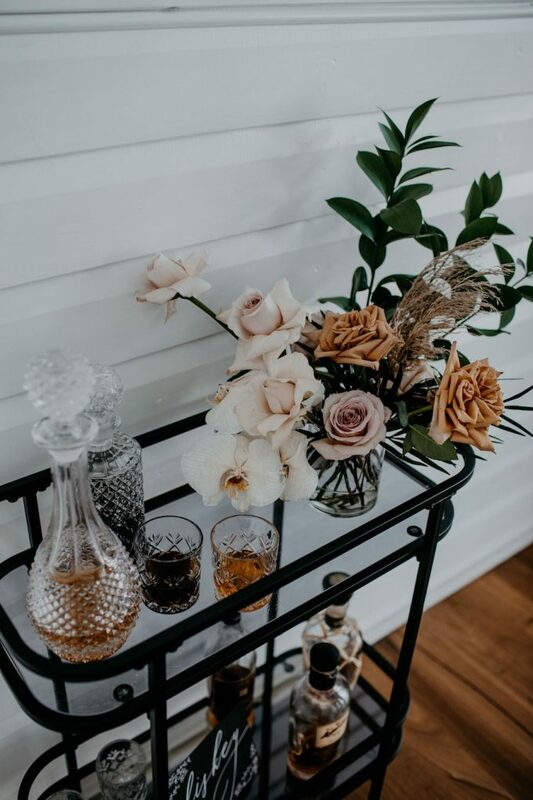 I knew at that moment that I wanted to create a shoot that had a rather romantic yet modern feel with hints of black, beautiful luxe flowers and the warm tones and textures of dried foliage. 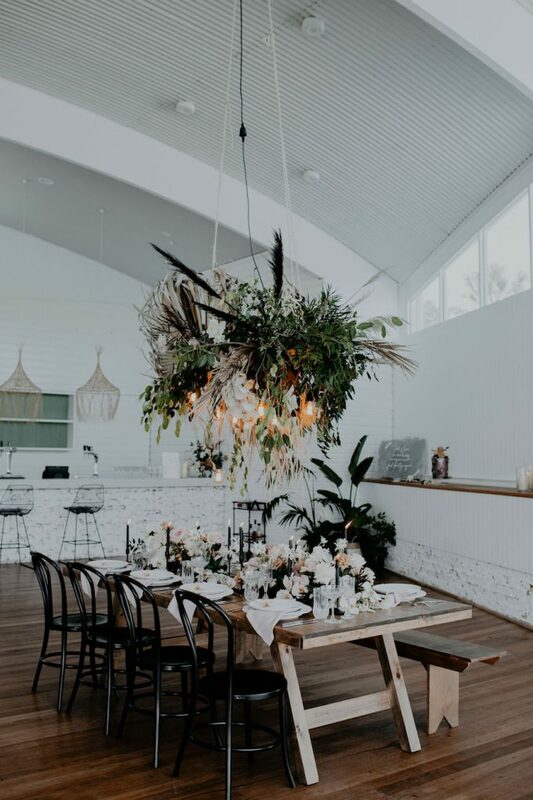 Dried foliage is definitely a big one at the moment, and it’s amazing how incredible this can look when paired with greenery, wood and black accents. 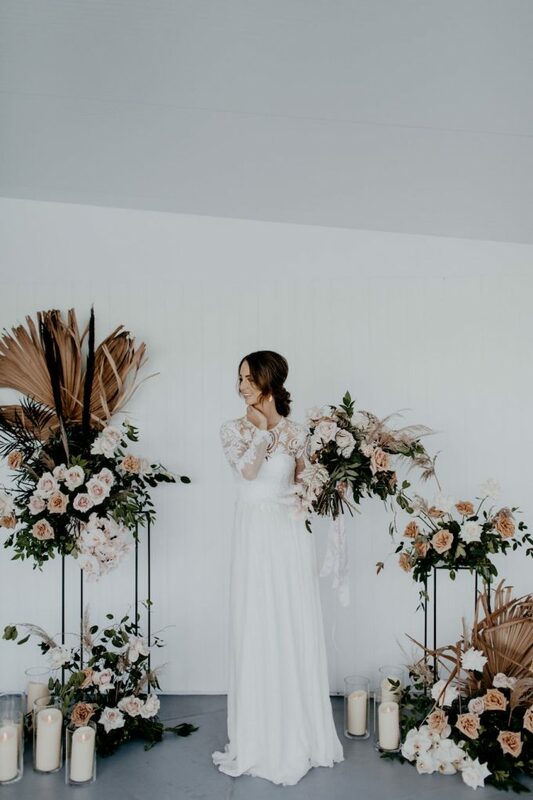 I’ve also noticed many of my brides deciding on super simple, elegant dresses and pairing this with a detailed veil, this is likely because of the ‘Meghan Markle effect’, but no complaints here, we are loving it! 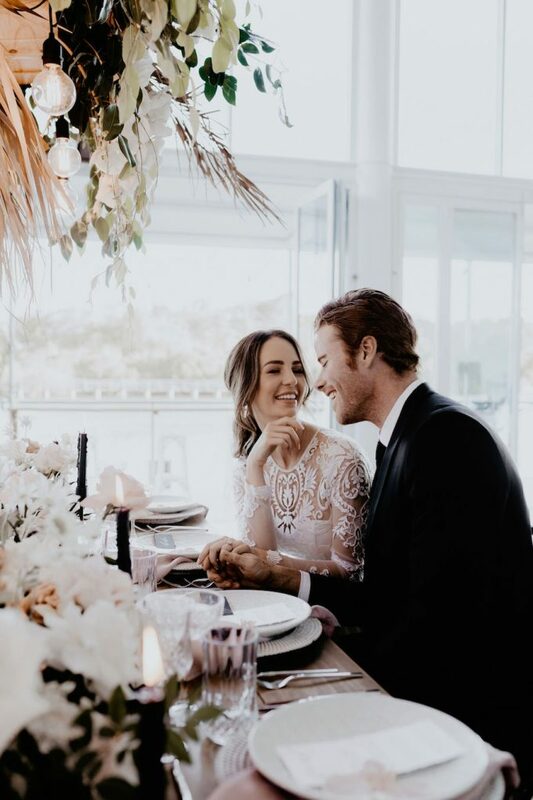 Food is also always a changing trend also, at the moment many couples are having beautifully styled grazing tables paired with signature cocktails in the afternoon to entertain their guests. 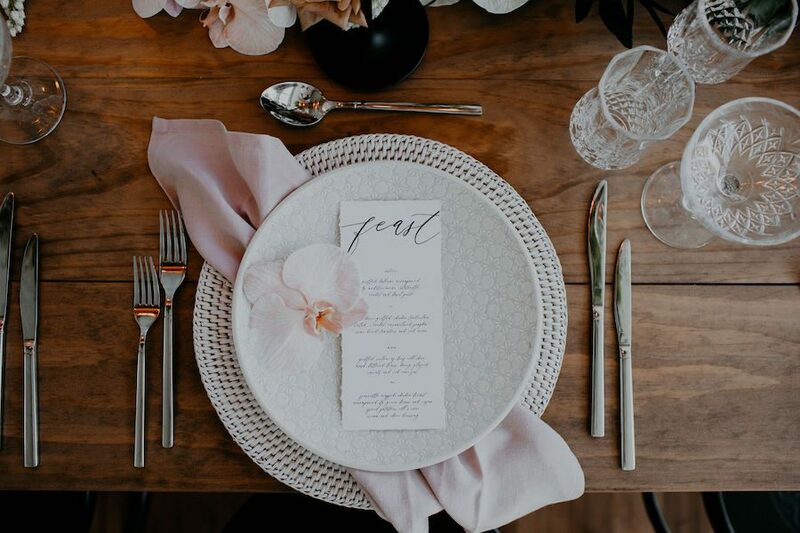 It’s such a visually pleasing way to display food and creates a point of conversation for guests who haven’t met each other before. 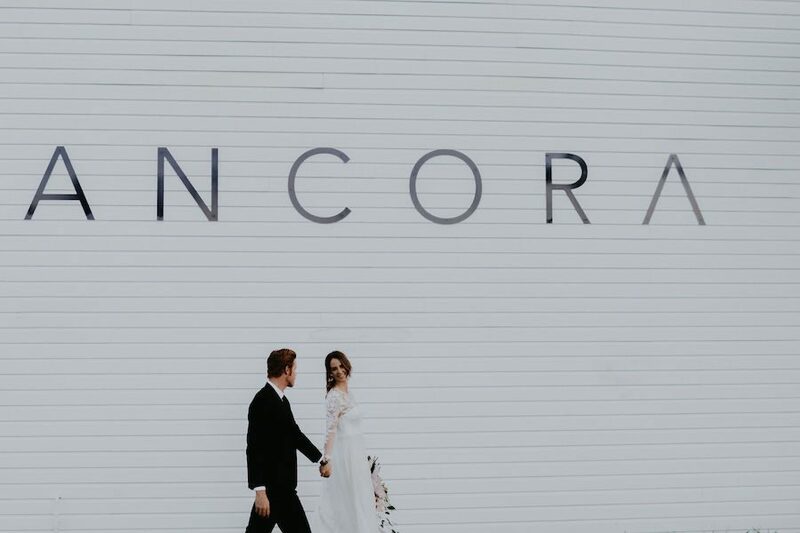 For more styled inspiration at Ancora, click here or for real weddings, click here.